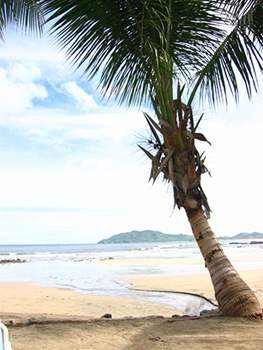 The real estate market of Costa Rica has its fair share of condos for sale. There are a few different theories that support this observation. First, property owners who reside elsewhere don’t want the unnecessary responsibility of maintaining an outside living space, and/or they don’t need much home to visit. Second, you can easily rent condos, so they serve as great ways to supplement income. Last but not least, they’re just as good as any other property type, and there are plenty to go around. You may have your own reasoning, which we would love to know, but it’s all in vain if you have major doubts about international investments. Having doubts isn’t uncommon and it’s certainly not a show-stopper (or shouldn’t be), but we like to get the bad out of the way first. Whatever you need more clarity on, our team will be happy to elaborate. Purchasing a property in a foreign country requires much more consideration than buying a home two states over. If you know you want a condo, maybe there are a few other significant details you don’t yet know, like location for one. Location isn’t always as important to pin down when investing, but when it comes to Costa Rica and its climate, there are so many drastic variations that people tend to have stronger preferences. Do you mind the heat? Will rainfall get you down? Which setting do you find most appealing – the ocean, jungle, or beach? Whether we focus on what you do want or what you don’t want, and what you’re afraid of or what you’re hoping for, we’ll develop a tactful strategy to pursue the property that’s right for you. It may be an upscale condo or a villa with a view, only time will tell.